Land Rover iPod adapters and iPhone adapters, iPod cables for Land Rover Discovery Freelander Defender etc. Connect iPod or iPhone to your Land Rover car stereo. 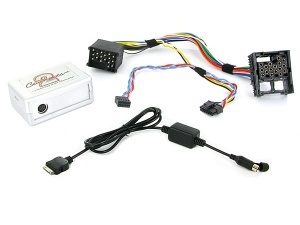 Land Rover iPod adapter for Land Rover Freelander and Discovery with Blaupunkt or VDO head-unit.